Five plays, five stories, five chances to see each one. 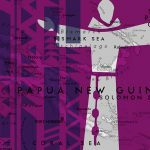 A love story that tears at the heart of celibacy for two Capuchin priests in primitive Papua New Guinea. More details. 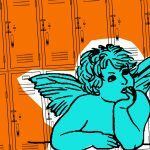 A teenager with Tourette Syndrome brings chaos, along with redemption, to a troubled Catholic High School. More details. 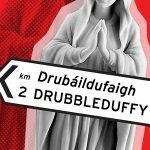 In the far West of Ireland, a miracle of the Blessed Mother backfires. More details. 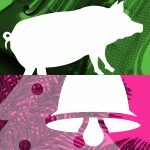 In The Stuttering Pig, a scheme to cheat a deaf and dumb tinker fiddler goes awry. And in Christmas Tassel Bell, a child’s Christmas story prepares a family for some unexpected guests. More details. Read the Festival Program Book (PDF). Devon Burton (Alois in SumiSami) is a New York native and is very excited to perform in his first show with Pittsburgh Playwrights Theatre. He is a current sophomore Acting major at Point Park University and is thrilled to have worked with such a wonderful cast. His recent credits include the Raymond Laine Memorial One-Acts festival, Madman and The Nun, and the occasional voice work. He would like to thank all of his friends for inspirations to keep moving forward. 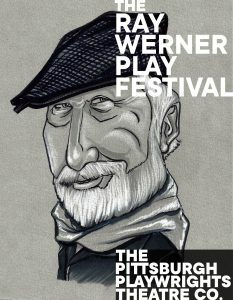 Bill Crean (Paddy O’Hara in Our Lady Of Drubbleduffy) returns to Pittsburgh Playwrights Theatre having performed in another play by Ray Werner called Christmas Star, and in the Theater Festival in Black and White where he was voted best actor and audience favorite. Bill has appeared in many local theater productions, most recently in Grey Gardens (Major) at the Hazlett with Front Porch Theatricals and The Cemetery Club (Sam) at South Park Theatre. Working with Melissa and the cast has been “a whale of a time!” Enjoy the show! Slainte! Joseph Fedore (Raphael in Raphael’s Angels) is a graduate of the Lincoln Park Performing Arts Charter School. This is his debut performance with Pittsburgh Playwrights Theater Company and he hopes that this is just the beginning of what many believe will be a successful career in the Performing Arts. Paul Ford* (Brendan McGill in Our Lady Of Drubbleduffy) A proud member of Actors’ Equity, Paul most recently appeared in Off The Record XVIII. Pittsburgh stage credits include barebones’ production of Glengarry Glen Ross; Unseame’d Shakespeare’s Mad Honey, Out of this Furnace, and Coriolanus; PICT’s Julius Caesar; Quantum Theatre’s Richard II; Pittsburgh Playhouse’s Baby’s Blues; and several shows at City Theatre, his most memorable being The Baltimore Waltz. Mary Harvey (Sadie McGonnigle in Our Lady Of Drubbleduffy) is happy to return to the stage after a hiatus. She has acted in Boston and Chicago, where she was a founding member of the Griffin Theater Company, and in Cork, Ireland, at the Everyman Palace Theatre, and in Pittsburgh at various venues. She is a dual citizen of the United States and Ireland and has had the good fortune to have lived in the Emerald Isle for a few years on and off. Mary has eight children and is expecting her ninth and tenth grandchildren before the year is out. Paul Guggenheimer (Dan McGinley in The Stuttering Pig) is a veteran actor from Pittsburgh who appeared most recently as the policeman in Ma Rainey’s Black Bottom at PPTCO. He was the narrator in The Homestead Strike of 1892, a one act play by Mark Clayton Southers, produced in September 2017. Additional credits include Professor Nemur in Flowers for Algernon (Butler Little Theatre); Horace Gilmer in To Kill A Mockingbird (Prime Stage Theatre) and Atticus Finch in the same play (Heritage Players); O’Brien in 1984 and Dr. Richard Pierson/Orson Welles in The War of the Worlds (Bricolage). Paul’s film credits include the post-apocalyptic sci-fi movie Dust of War starring Doug Jones, available at Walmart and on Amazon Instant Video and other online platforms. James Hartley (Jamie McGrath in The Stuttering Pig) is proud to be making his Pittsburgh Playwrights debut in The Stuttering Pig. Previous credits include Philip in The Lion In Winter (Little Lake Theater), Brick in Cat On a Hot Tin Roof (Gilbert Theater), Lewis in Pippin (Theatre Factory), and Tom Sawyer in Big River (The Strand Theater). He would like to thank Robyne for her guidance and his mom for her constant support. Wali Jamal (Moses in SumiSami) most recently portrayed Toledo in PPTCO’s Ma Rainey’s Black Bottom, and August Wilson himself in Mr. Wilson’s autobiographical solo show How I Learned What I Learned, making him the only actor in the world to appear in all eleven of August Wilson’s plays! A long-time favorite of PPTCO audiences, his roles in our productions of August Wilson’s plays include: both Boy Willie and Avery in our two productions of The Piano Lesson, Hedley in Seven Guitars (twice! ), Wolf in Two Trains Running, Bono in Fences, Doub in Jitney, Caesar in Gem of the Ocean, Toledo in Ma Rainey’s Black Bottom (twice), Sterling in Radio Golf, Seth Holly in Joe Turner’s Come and Gone, and Elmore in King Hedley II. A prolific Pittsburgh actor, he has worked with just about every theatre company in Pittsburgh, including the Public, City, Bricolage, and barebones. Tom Kolos (Bishop Danny in Raphael’s Angels) is a veteran of the theater having performed in several theatre productions. A sampling of his productions include: Young Frankenstein, Who’s Afraid of Virginia Wolf, Angels in America Parts 1 and 2, The Little Mermaid, Romeo and Juliet and The Legend of Sleepy Hollow. He has also appeared in several film, television and commercial projects. A graduate of Point Park University Conservatory of Performing Arts, Tom is honored to be a member of the cast in Raphael’s Angels. Jade Langan (Taryn in Raphael’s Angels) is an 18 year old graduate of Lincoln Park Performing Arts Charter School. She is currently studying at CCAC, but hopes to transfer into a BFA acting program at a university next year. She was a national finalist in the August Wilson Monologue Competition in which she was mentored by professionals Malik Yoba, Kenny Leon, Joshua Jackson, Lauren Ridloff and Russell Hornsby. Recently she performed in the production of Ragtime at the Lincoln Park Arts Center, portraying a member of the Harlem Ensemble, a Haitian immigrant and Sarah’s understudy. Dave Mansueto (Willie McGanley in Our Lady Of Drubbleduffy) is a Pittsburgh-based artist and entrepreneur. He recently appeared in Rules of Seconds and previously in American Falls and One Flew Over the Cuckoo’s Nest with Barebones Productions. Dave has appeared as one half of the improv duo Karel Mansueto, in the rap musical Pittsburgh Batman and often works in the world of podcasting. Karla Payne (Sister Rosie in Raphael’s Angels) is a stage actor, poet and singer, who has appeared in countless productions, including New Horizons’ Lotto: Experience the Dream, The Dance on Widows Row and Queens of the Blues. Musical productions include The Wiz, Little Shop of Horrors, Into the Woods and several performances of Black Nativity, produced annually by the Shona Sharif Drum and Dance Ensemble. Recently Karla appeared as Tanya in King Hedley II for PPTCO, performing it at the childhood home of Mr. Wilson. Writing under the pen-name Spirit-Lead, this accomplished spoken word artist has released two spoken word CDs, the award winning Words Unspoken and Relatively Speaking. She also released a poetry chapbook entitled From My Indigo Pen. “To whom much is given, much is required.” – Luke 12:48. Stacey Rosleck (Mary in Raphael’s Angels) is thrilled to make her Pittsburgh Playwrights Theatre debut. She has performed with numerous Pittsburgh area companies and festivals including Little Lake, Prime Stage, Throughline, Stage 62, South Park, Pittsburgh New Works Festival and Stage Right. Her favorite roles include Kate Keller in The Miracle Worker, Charlie’s Mom in The Perks of Being a Wallflower, Lady Croom in Arcadia, and Mrs. Halbestadt/ Maria Waller in Judgment at Nuremberg. Love and thanks to hubby Chris for his constant support and encouragement! Jaime Slavinsky* (Jamie O’Hara in Our Lady Of Drubbleduffy) is thrilled to return to Pittsburgh Playwrights & to be reunited with director Melissa Martin. Favorite credits include: A Streetcar Named Desire (Barebones Productions), A Soldier’s Heart (Playhouse REP), The Man in the Window (Payan Theatre NYC), Apple Says Yes (PPTCO, Best Actress Winner), and Dead Man’s Cell Phone (Organic Theater Pittsburgh, Post Gazette Lead Actress nomination). Jaime is Founder & Artistic Director of Organic Theater Pittsburgh & Momentum Actors’ Studio as well as a teaching artist at Donna Belajac Casting & a private acting and audition coach. She is a graduate of the Atlantic Acting School in NYC & the Conservatory of Performing Arts at Point Park University. Proud member of SAG-AFTRA & Actors’ Equity Association. Matthew Southers Jr. (Jack in The Christmas Tassel Bell) is an eager kid from Pittsburgh, PA who recently finished his first principal role in Netflix’s Mindhunter Season 2. He’s currently honing his craft with a series of weekly acting and dancing classes. BillyDave Wammo (Father Johnny Connelly in Our Lady Of Drubbleduffy) Musician, composer, songwriter, music producer, artist, actor, three time National Poetry Slam finalist, screenwriter and frontman of many bands including international touring group, Asylum Street Spankers; Wammo wears a lot of hats. Although he has lived here since 2011, this is his Pittsburgh acting debut. He’s very excited to be working with this wonderful director, cast and crew. He would also like to either thank or blame Patrick Jordan for suggesting he do this. Special shout-out to Ceci.